WELCOME TO THE EOS OFFICIAL VOICE CHAT! It is important for us to be closer and more accessible for our community, as well as bringing everyone together and promote communication between players. This is why we are making the EOS Community Discord Server official! This server was set up by our GSs and TGSs in September 2016, and we want to give it new life and make it a platform for the community to communicate as a whole and to easily poke GSs and GMs if they have any issues. We thought it would be an easier way for us to communicate updates and news to you guys as well as easier for you to contact us. We'll still keep an eye on the shoutbox and other media, but we want to centralize the communication on a platform that is easier and intuitive to use. Please keep in mind there is only so much a GS can do though, and they are not to be abused for faster ticket responses or an attempt to gather more information on upcoming news. 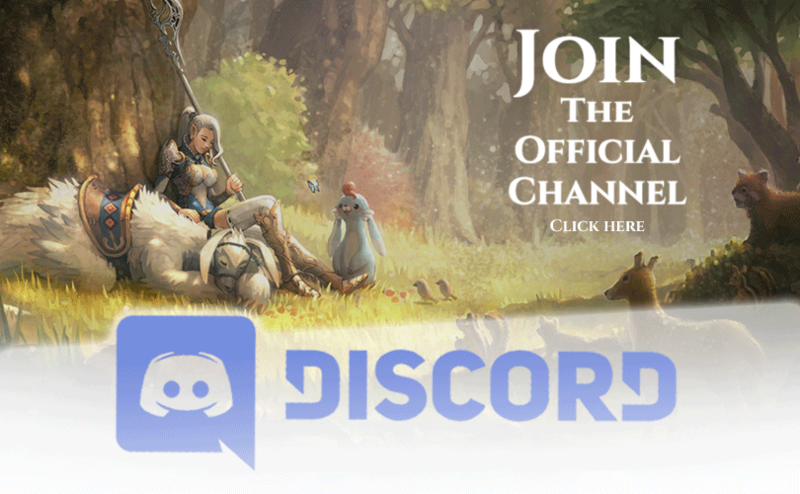 Without further delay...here is the Echo of Soul Discord! Please do not, under any circumstance, insult a member of this community – or provoke them into insulting/attacking someone else. Do not insult or provoke members of the Aeria Games team, including (but not limited to) the Game Sages. Do not harass other members of this community. Do not post any racist or discriminating remarks. Please do not, under any circumstance, threaten to bring physical harm to a member of this community - or anyone else. Also, avoid wishing for someone to come to physical harm. (e.g. “I hope you get cancer and die”). Please do not publicly accuse another member of this community (or a guild) of hacking. Also, please avoid posting screenshots or any other content that might or might not support your claim. Instead, you should use the proper avenue (a ticket) for reporting suspected cheaters in private. Avoid any discussions about the use of cheats (“hacks”) or exploits – neither should you promote the use of cheats on this group. Do not post advertisements for any product not sold by Aeria Games. Each account created by you may only be used by you and you alone. It is in your very own interest to keep your login data to yourself. Do not share it with anyone else. Please do not ask members of this community for the login data to their account(s). Impersonating a member of the Aeria Games staff OR a Game Sage must be avoided at all cost. Doing either will lead to the closure of your account. Please do not attempt to discuss action taken by the administration against your (or someone else’s) account in public. Instead, you should use the proper avenue (a ticket) to appeal the decision. If you need to report inappropriate behavior on the chats, please send a ticket with the reported user’s name. If you report chat messages, please add a screenshot of the conversation to the ticket. If you report an inappropriate behavior on voice chats, please record the conversation and add the evidence to the ticket. Do not post information (e.g. postal addresses, phone numbers, email addresses, IP addresses and the contents of a ticket or other private conversations…) of a private nature on this chat. Please do not post content that is infringing upon the copyright of another party. This includes links to websites that promote copyright infringement.